Is Millionaire Space Tourist Planning Trip to Mars? 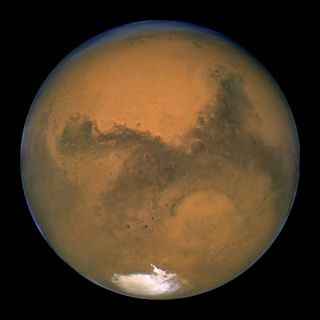 Buzz is building about a planned 2018 private mission to Mars, which may launch the first humans toward the Red Planet. A nonprofit organization called the Inspiration Mars Foundation — which is led by millionaire Dennis Tito, the world's first space tourist — will hold a news conference on Feb. 27 to announce the 501-day roundtrip mission, which will aim for a January 2018 launch. "This 'Mission for America' will generate new knowledge, experience and momentum for the next great era of space exploration," Inspiration Mars officials wrote in a media advisory yesterday (Feb. 20). "It is intended to encourage all Americans to believe again, in doing the hard things that make our nation great, while inspiring youth through Science, Technology, Engineering and Mathematics (STEM) education and motivation." Tito will participate in the Feb. 27 news conference. So will Taber MacCallum and Jane Poynter, CEO and president, respectively, of Paragon Space Development Corp., which has expertise in life-support systems; and space-medicine expert Jonathan Clark of the Baylor College of Medicine. The speakers' backgrounds and the lofty goals articulated in the media advisory have led some people to speculate that Inspiration Mars is planning a manned mission to the Red Planet. And it looks like that may be the case, according to some media reports. On March 3, Tito will give a talk called "Feasibility Analysis for a Manned Mars Free Return Mission in 2018" at an aerospace conference in Montana, the NewSpace Journal reported today (Feb. 21). The NewSpace Journal says it obtained a copy of the paper Tito plans to present in Montana and gives a summary of its main thrust. Tito's paper discusses "a crewed free-return Mars mission that would fly by Mars, but not go into orbit around the planet or land on it. This 501-day mission would launch in January 2018, using a modified SpaceX Dragon spacecraft launched on a Falcon Heavy rocket," the NewSpace Journal writes. "According to the paper, existing environmental control and life support system (ECLSS) technologies would allow such a spacecraft to support two people for the mission, although in Spartan condition." The mission would be privately financed and cheaper than previous estimates for manned Mars efforts, the NewSpace Journal adds, though no overall cost is given. The purported involvement of California-based SpaceX is not a huge surprise, as company founder Elon Musk has repeatedly stressed his desire to help humanity reach and eventually colonize Mars. Indeed, SpaceX has been developing a mission concept called "Red Dragon," which would use its Dragon capsule to send astronauts to the Red Planet. A 501-day mission would pose potentially serious physiological and psychological issues for astronauts (standard stints aboard the space station are currently just six months). Researchers have tried to understand the psychological and sociological effects of being isolated in cramped quarters for long stretches, notably during the Russia-based Mars500 mock mission, which wrapped up in November 2011. But the physiological effects may be tougher to simulate and mitigate, experts say.